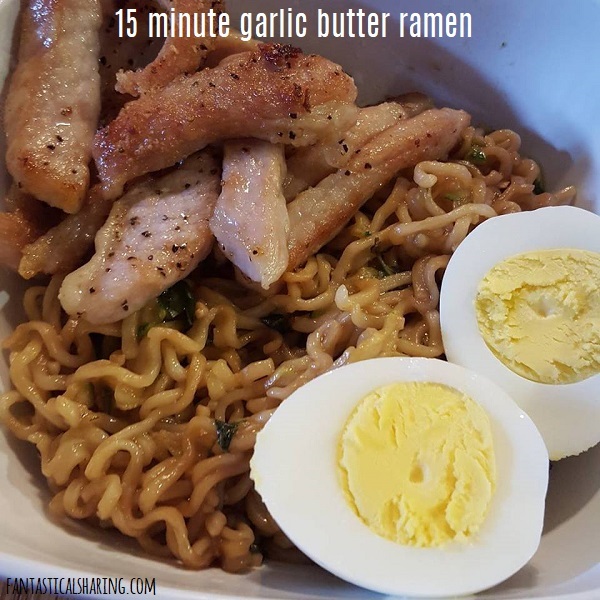 Amp up packs of ramen with this easy, quick garlic butter ramen recipe - served meatless or with your choice of meat and hard-boiled eggs! One whole meal baked on one sheet pan - crispy cheesy pork with roasted baby red potatoes and brussels sprouts! I have desperately trying to convince my family that brussels are actually delicious because I love them. So far, I think the only attempt that was mildly successful was when I made carbonara with shredded brussels. I will take them any way I can get them, but especially love roasted brussels sprouts, like in this sheet pan recipe! 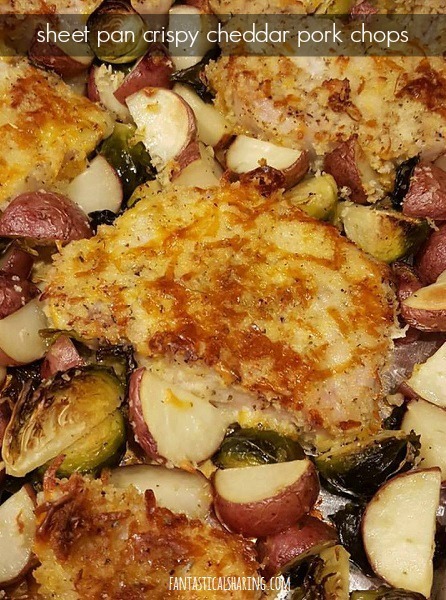 Not only do you get yummy brussels, but you get red potatoes and crispy cheddar pork chops too. So I mean, no complaints from me. It's an easy recipe with a little bit of prep time, but I still ended up spending more time waiting for it to bake in the oven than preparing it or actively cooking anything. Again, no complains from me. I was happy to have a well-rounded, balanced meal (in my opinion, not a nutritionist or anything) that was simple to make and dirtied fewer dishes than it would have if I made this in a skillet. 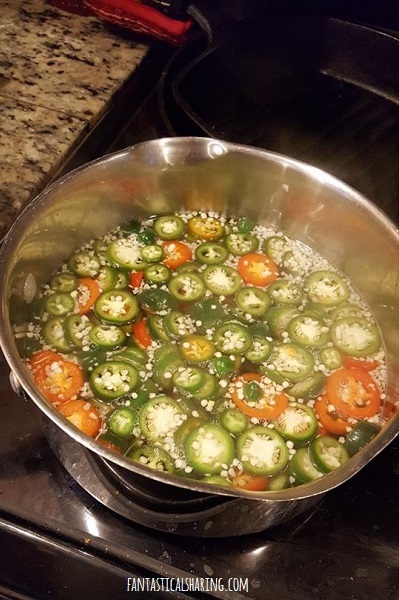 If you ever find yourself in a pickle (of having too many jalapenos), these homemade jalapenos are as easy as can be and delicious too! Perfect for burgers, tacos, soup, and more! I was incredibly excited to grow my own jalapenos once again last summer. I had an incident the first summer after we purchased our home, where a gang of chipmunks ate my jalapeno plant, peppers, leaves, and all. They left just the center stalk for me. Mind you, I also was growing habaneros right next to them to maximize spiciness. After the devastation of the chipmunks eating all my peppers and herbs, Nick gifted me an Aerogarden for our anniversary. I did a round of mixed Italian herbs first, then I purchased a salsa kit with two cherry tomato plants and two jalapeno plants. Unfortunately, my tomatoes were bad eggs and didn't grow at all. 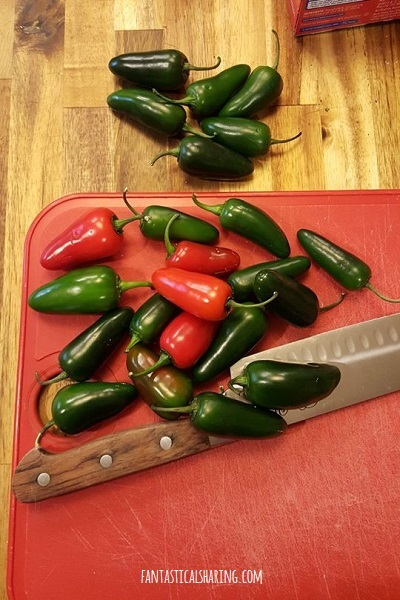 My jalapenos were bountiful. They were also literally the hottest jalapenos I have ever eaten. They WERE habanero level hot. And that isn't just me. Nick agreed that they were the spiciest jalapenos he had ever had too and he has such a high heat tolerance. 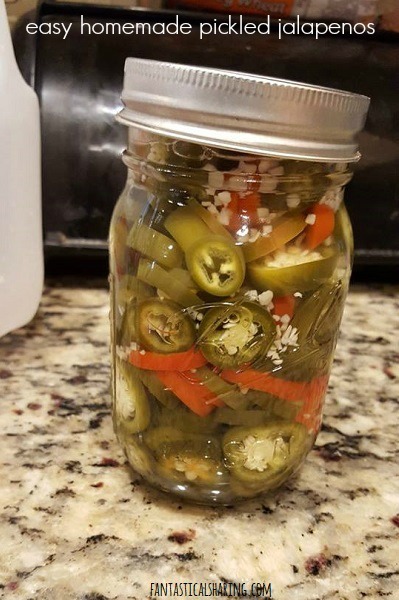 This recipe for pickled jalapenos allowed me to use up all the jalapenos from my Aerogarden before they went bad! This Creamy Tuscan Garlic Chicken reminds me of an old Olive Garden menu item but is quick and easy to make at home! Many years ago, we tried a copycat Olive Garden recipe that this chicken recipe reminds me of. I think it's called Tuscan Garlic Chicken or Garlic Tuscan Chicken, but regardless, it is much more time-consuming to make than this recipe. So I was overjoyed to find it and that it is a pretty decent stand-in for that recipe. I honestly can say that I really wouldn't miss making the copycat again because this recipe tastes so much like it and is way easier. The sauce is doubled in the recipe below because I did serve mine over pasta and you definitely need double the sauce (which I did not do in the picture above). This cheesy broccoli soup is made right in the crockpot and is unbelievably wonderful! The very first recipe I posted on my blog was Cheddar Broccoli Soup. It has been one of my family's favorite soups for the past 8 years and we make it often. I do get a little nervous because it is made with a Ragu Double Cheese Sauce and I'm always afraid that one day, I will go to the store and it will be no longer available. I have tried a few different types of broccoli cheese soup here and there - thankfully, the Ragu is still at the store. 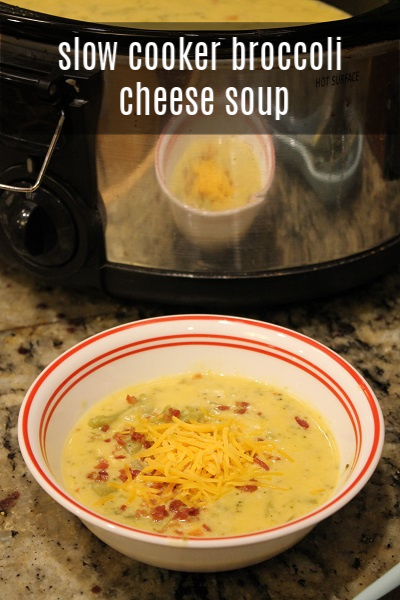 This soup recipe comes from Ree Drummond and I should've known that PDub would have the perfect broccoli cheese soup recipe for me to keep handy, just in case. It does use Velveeta - which I have to be honest, is not my favorite - so I do like to add a little hot sauce to kind of cut into that artificial flavor. I am fairly certain I learned that trick from Ree also. I love that this is made in the crockpot too - just one more awesome bit to the recipe. These big, delicious chocolate chip muffins are just like the kind you get at the bakery! Ah, we have finally arrived to our last week of soccer for the season and I'm kind of bummed while still pretty ecstatic to have the weekdays and Saturdays back. It's been a lot of nights of trading off who takes a kid to practice and who stays at home to cook and if we're eating at 4 or 9. This meatless scramble has so many fresh ingredients in it - it's the perfect morning food! This recipe had me at scramble...because I LOVE scrambles. I've been eating lots of them lately, especially tossing leftovers into scrambles. It's either that or omelets and, to be honest, I'm still not the most proficient in making omelets. This scramble is meatless and has kale, peppers, and green onions. Plus FRESH HERBS. I have so much basil from my Aerogarden that I just relish in any opportunity to use it. I hope to make this scramble often and I would definitely love to try some crumbled feta next time! I don't understand why I haven't made this ONE BOWL VANILLA CUPCAKES FOR TWO since 2012 because there is nothing better than a dessert recipe that dirties one dish AND makes a small amount. It's the perfect recipe when you have a craving. I am so impressed with how this GARLIC-RUBBED BACON TOMATO GRILLED CHEESE turned out. Rubbing garlic on a BLT grilled cheese? YES! This month's Fantastical Food Fight theme is PASTA. October is National Pasta Month (American) and it could have not come at a better time. Nick recently went of his keto diet and is counting macros which means he is eating carbs. Which also means, I basically want to eat pasta every single day LOL. If you knew me in real life, you would know I am a pastaholic. Pasta is life (where pesto is my life blood). I'm ridiculously excited to see what my blogging pals have in store for today's Food Fight. I decided to share this slow cooker chicken pasta recipe for today's Food Fight because it is now one of my new favorite chicken pasta dish. I love that it's slow cooked and you only have to prep the pasta before eating. I am not 100% sure, but I believe this was my first encounter with Creamy Italian dressing. It's now a must-have, stocked dressing in my fridge (along with French, Caesar, Poppyseed, and some kind of apple or onion vinaigrette). I would love to try this with fresh spinach - I'm sure it could be added in right before it's time to eat, so that it just wilts. Also confession time: I don't care for sundried tomatoes. I think they are much too sweet and potent. So I took grape tomatoes and roasted them. If you are good at laying down aluminum foil, you technically won't dirty a baking sheet to roast the tomatoes. And you can do it while you make the pasta. Overall, this dish is just so wonderful. You can absolutely use any pasta you want, but I'm partial to spaghetti! The perfect Sunday dinner pork loin made with bacon, brown sugar, and whole grain mustard! When I found this recipe, I didn't even think twice about putting it on my meal plan - bacon-wrapped pork loin! I looked at the ingredients list and was a little taken aback with chutney. I had heard of it, but couldn't really recall what exactly it was. If you are also living under a culinary-noob rock, chutney is an Indian condiment made from fruit and veggies with vinegar and spices. Major Grey's is a specific kind made with mangoes and red peppers. I think the chutney and whole grain mustard (first time trying that too) really classed this dish up. The smoky paprika and spicy cayenne worked so well with everything too.